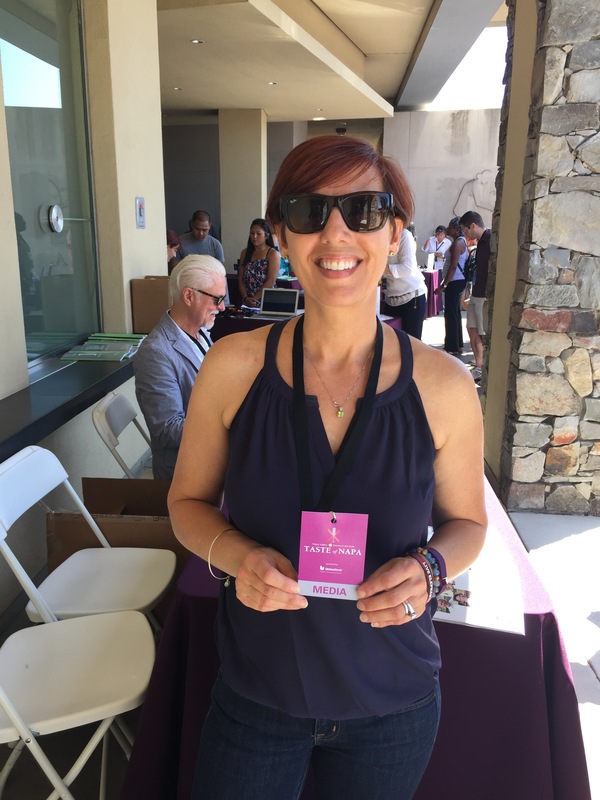 I had the opportunity to attend two amazing festivals this summer – the Festival del Sole’s Taste of Napa 2015 and the Sonoma County Vegfest. They were completely different though equally wonderful experiences. The Festival del Sole is an annual event here in Napa Valley that celebrated its 10th anniversary this summer. The Festival offers 10 days of over 60 events; 100 wineries; the stars of music, dance and theater; Napa Valley’s finest wine and cuisine (so say the non-vegans!) all while enriching art, fitness and community programs. The SoCo Vegfest, though in its infancy, has grown and improved in just two years. A celebration of ethical eating, the Vegfest offered almost a dozen speakers and cooking demonstrations as well as the screening of Speciesism – an exploration of filmmaker Mark Devries as he delves deeply into the argument that humans are more important than other species and investigates our treatment of non-human animals in food production. The important similarity between these events is the enrichment that they both bring into our lives – one through art, fitness and sense of community while the other by offering and celebrating compassionate and loving choices through the food we put into our bodies, the products we put onto our skin and the way we treat the sentient beings we share our planet with. Today, in Part I, I’m going to focus on my experiences of the Taste of Napa 2015. 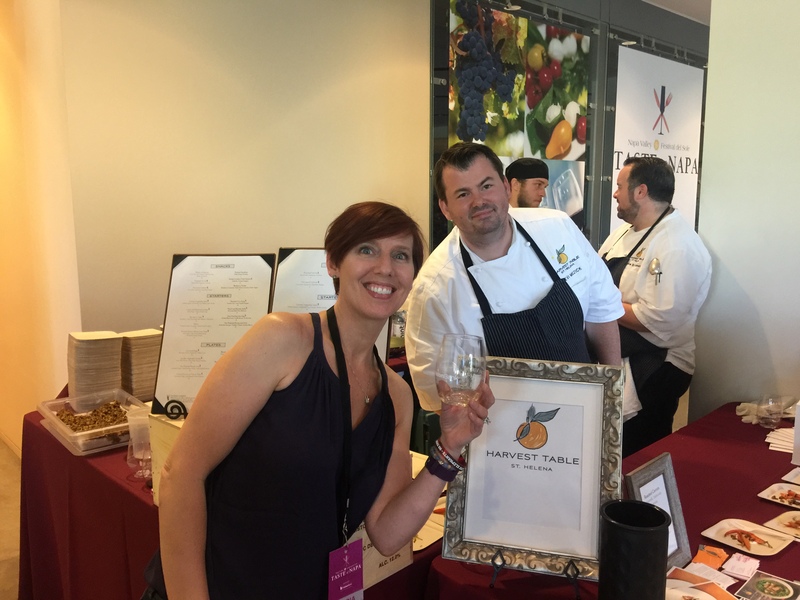 My Video Introduction to Taste of Napa 2015! 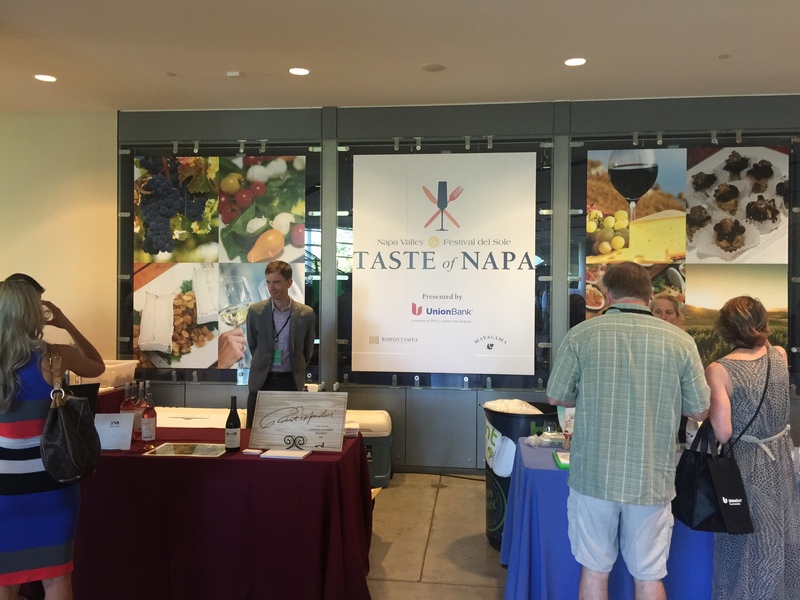 Taste of Napa 2015 was the first event I’ve attended in Napa that I covered as part of the press. Yep, my very first (and at this time…only) press pass. Being my first, I had no idea exactly what to do but figured I could wing it well enough. My husband, Steve, in celebration of my first media credentials, even took the day off to work as my photographer. As instructed, I got to the building formerly known as Copia, found the press table and got my pass. When it was time for the doors to open, my crew and I (ie: husband Steve) even got to enter through the press entrance ahead of everyone else. Believe me, I felt really cool and so excited. 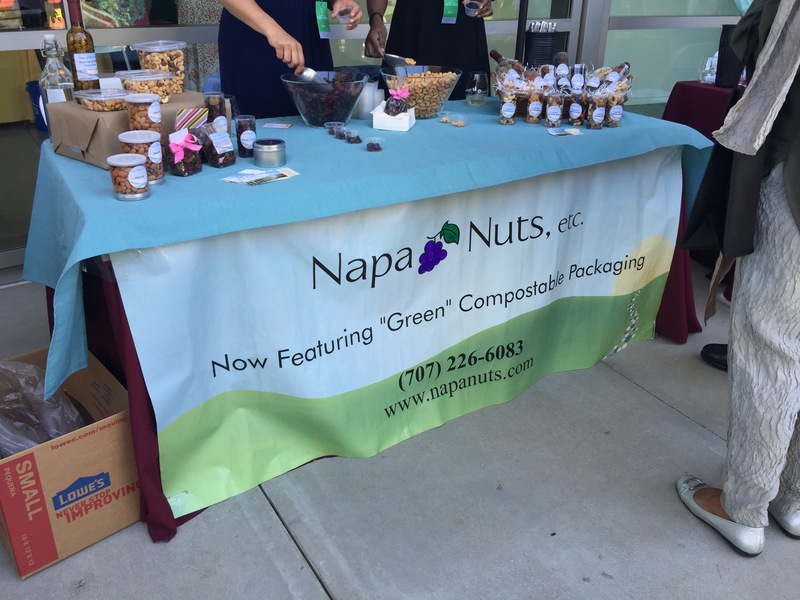 Rather than do any research ahead of time on what vegan food and wine options were available, I wanted to attend Taste of Napa 2015 spontaneously just as someone visiting Napa would do. The building offers over 13,000 square feet of open exhibition space as well as terraced space outside that were both filled with food and wine vendors! It was overwhelming and fantastic. I chose to start outside since it was such a gorgeous Napa day and I could see the band outside getting ready to start playing. Since seeing my first live show – Quiet Riot opening up for Loverboy (I was so in love with Mike Reno and his red leather pants!) in the early 80s in Sault Ste. Marie, MI, I have been in love with the energy of live music! Video -Waiting for the band to begin with my new friend Charles Krug! The first table I stepped up to had these luscious looking cherries wrapped in…something. I couldn’t believe that I had found vegan food so quickly. When I asked what the cherry was wrapped in, the response was foie gras! Ugh! I must admit that took the smile off my face for a moment but I knew I had to rally and not let that ruin my experience. So after (very) quickly moving on, I headed for the Keller Estate’s wine table. Anton Matulic, the Estate Ambassador for Keller Estate, poured me some of their amazing pinot noir. While they sometimes fine their Chardonnays with egg whites, their reds are not fined with animal products. So I happily headed off with wine in my hand to continue exploring. Video – Join me for some Pinot Noir! Napa Nuts, etc in the heart of Napa Valley since 1990. Next I chatted with Bonnie Miluso, the VP of Sales & Marketing for Napa Nuts, etc. Located in the heart of the California Wine Country, Napa Nuts, etc. is one of the largest single providers of dried fruit, nuts and confections in Northern California. They have been providing quality ingredients since 1990 to more than 500 restaurants, wineries and bakeries all around the United States. Though they did not know if the sugar they use is bone char free, I happily filled up on their delicious cashews. My next stop was with Merryvale Vineyards who were really receptive to finding out more about how their wine is made. I am still working on the fining details at Merryvale and will update you when I have confirmation from their winemaker on their vegan-friendliness! Wandering inside, I noticed a HUGE crowd around the Miracle Noodle table. I had to learn more! This ended up being very easy because they had a huge banner that proclaimed Miracle Noodles to be vegan certified, gluten free, soy, corn and wheat free, calorie and carb free plus non-GMO. Miracle noodle? Absolutely! The rice and noodles are made almost entirely of fiber from the konjac perennial. Native to subtropical and tropical climates the konjac has been known in Japan since the sixth century as a medicinal food and has been eaten for 1500 years. Since it is almost entirely fiber and fiber slows our digestion, it allows for slower absorption of glucose which is why it is beneficial for weight loss and can be beneficial if you have diabetes. I quickly understood why the table was literally swamped with people. As we learn more about where our food comes from, we all want healthier choices! I got to sample both of their options – the delicious rice and noodles – and chatted a bit with Susan Carp the Regional Sales Manager who let me know that Miracle Noodles are available at Whole Foods across the state. Let me tell you about the Miracle Noodles! Brown Dog Mustard is a small batch, handmade, artisan mustard producer made by husband and wife team Scott and Victoria Miller right in Concord here in East Bay. Victoria, who is the CMM – Chief Mustard Maker – learned cooking through family recipes passed down from her Dutch and Pennsylvania Dutch Grandmothers. I ate many a pretzel smeared with their Sunny Summer Yellow (contains honey), Balsamic Sweet, Peppercorn and Whole Grain mustards. There is no comparing a grocery store mustard that can (and does) sit in a warehouse for years to this mustard lovingly made with organic apple cider and balsamic vinegars (no distilled vinegar here!). Salute Sante’s amazing grapeseed oil! I followed up my mustard binge with a stop at Salute Sante’s grapeseed oil table. Nanette and Valentin Humer have been spreading the word about the health benefits of grapeseed oil for years. Instead of going to waste, they press the Valley’s grapeseeds and create their delicious and healthy oils and flour. They have been featured in the local Napa Valley Life Magazine, The New York Times and the Pacific Sun. In addition to their gluten-free, high fiber flour, they also offer varietal extra virgin cold-pressed oils made from Cabernet Sauvignon, Merlot, Sangiovese, Zinfandel, Syrah, Chardonnay, Chenin Blanc, Riesling, Viognier, Sauvignon Blanc and French Colombard seeds. Their infused oils line includes five flavors – roasted garlic, basil, chili, rosemary and lemon that are perfect for marinades, salad dressings or for bread dip. I couldn’t decide which my favorite was so I had to keep trying them all! My next stop was with the Harvest Table restaurant. There were no vegan options but I had the opportunity to speak to Chef Levi Mezick. He invited me out to try their new restaurant located in St. Helena and promised he would make me a vegan meal I couldn’t forget. I will keep you posted on the outcome! It was time to walk some of this off so I wandered outside to the Reserve section. Having a press pass is apparently like having a backstage pass…when the volunteer staff saw the pass they just waved me through! And you’ll never guess what I found…more wine and food! I struck up a conversation with MJ Baird, the Premier Clientele Liasion for Lede Family Wines. She was really excited to discuss her wine and invited me to be her guest at the winery. I will let you know all about my experience very soon! Living in such a meat and cheese inclined city, I was pretty pleased with the vegan options I was able to find amongst the over 80 wineries, restaurants and food artisans. There is no doubt that having a bit of a wine buzz makes everything just a little brighter and a little happier! By being vocal, asking questions and building relationships with local Chefs and wineries, I hope to see things improve every year! My next posting I will share my amazing experiences at the 2nd Annual Sonoma County Vegfest. A big thanks for joining me while I ate and drank my way through the Festival del Sole and as always…eat, drink and be vegan!